And here is part three, the final post on this project and right on time as promised. If you haven’t been keeping up with this project you should read Part One, and Part Two to get an idea of how I got to this point. 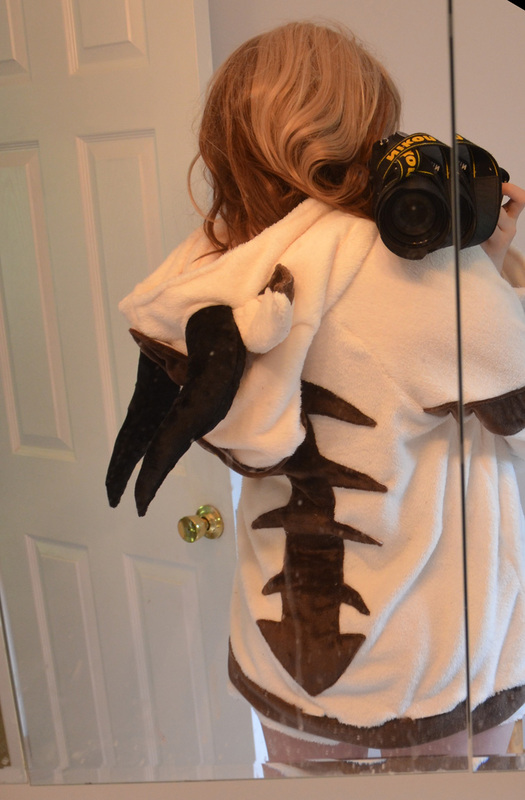 I also have a post on making a matching Momo Hoodie for my dog that may interest you as well! This was well on it’s way to completion in my last post, so this one will be significantly shorter. All I really had to do was make the front pocket and hood, the hood being the most complicated part of this whole project. 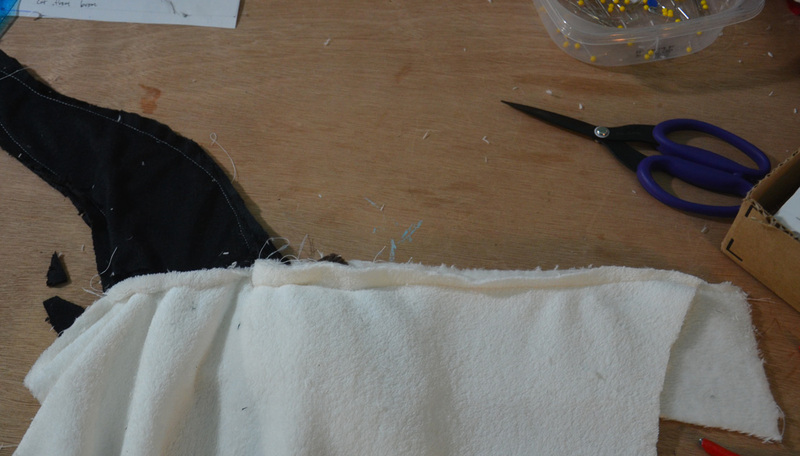 My one big desire with the hood was to make it without any stiffening! 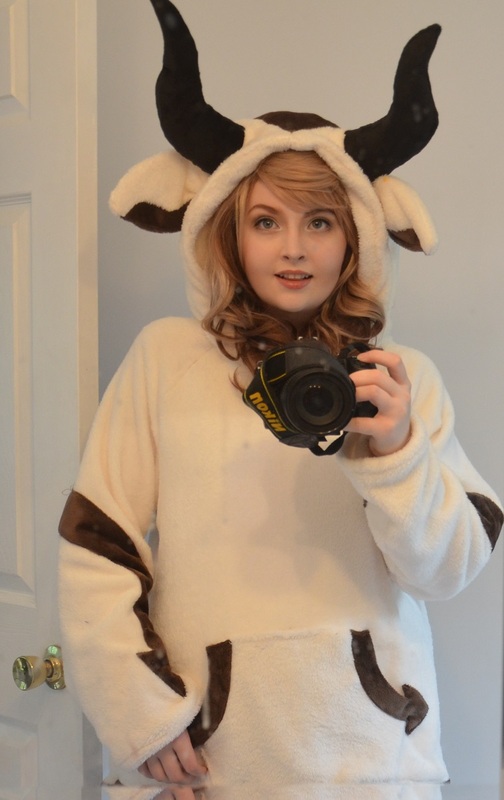 Even though I wanted ears that stuck up and huge horns I still wanted it to be cuddly and soft. Worrying about wire and boning channels wasn’t very an attractive thought so I did my best to avoid them. It started out with a sketch. 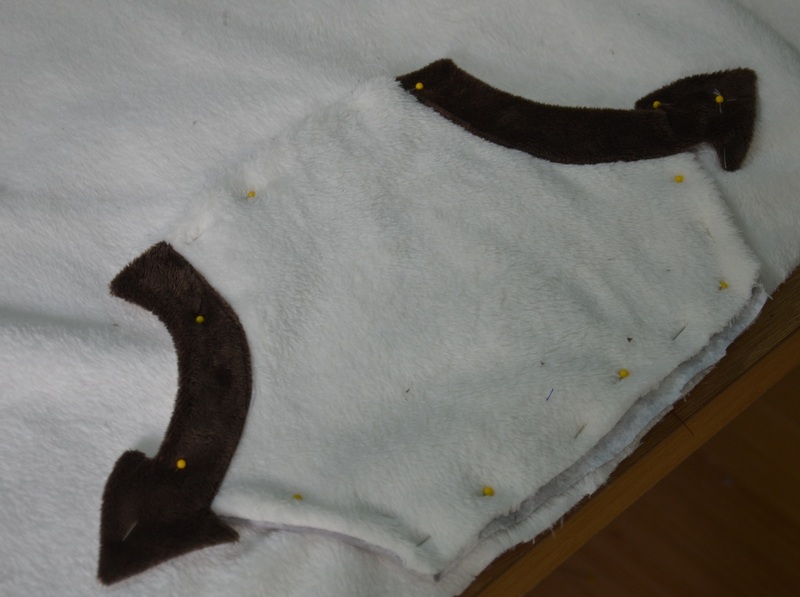 My plan was to make the hood in four pieces, each side would have a “notch” for the horns and then the ears would be sewn into the same seam. Then they could be stuffed and would hopefully stick up…that makes sense, right? I made a mock up for this (which is talked about in part 1) and fiddled with it quite a lot before deciding it needed ears. The ears were actually more difficult to draft then the horns! 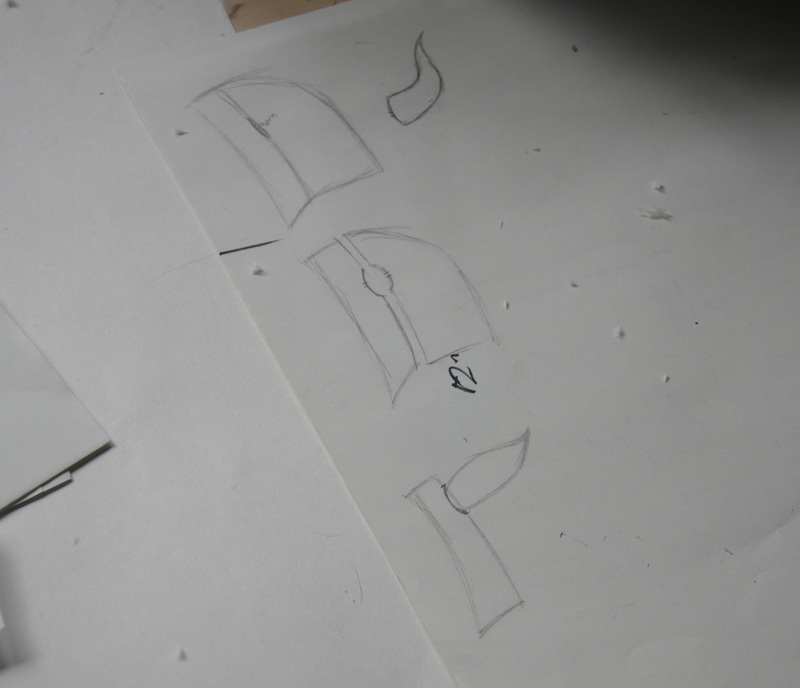 It required a lot of sketching and then it eventually became a pattern. 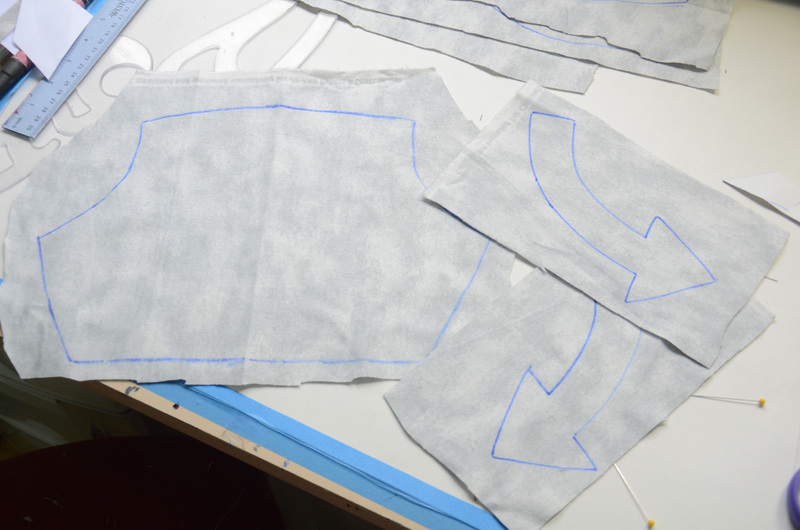 Each piece was sewn together, and then the backing of each piece was fused to a sheet of medium weight (washable) interfacing. 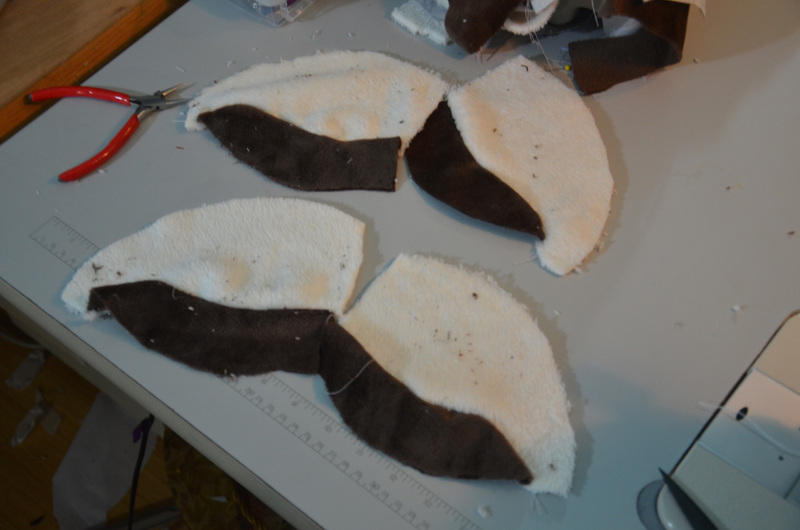 They were sewn right sides together and then top stitched, leaving me with cute little ear shaped pocket. 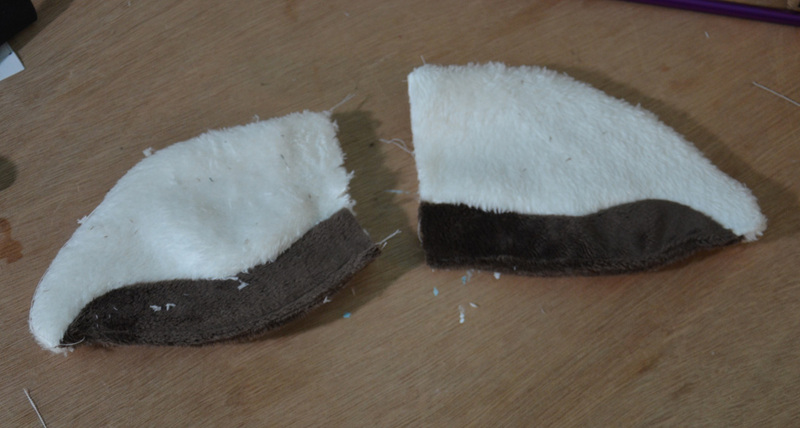 The side with interfacing was then pleated inward giving them a bit of a rounded shape, and making them more bison-like. Taking a break from those, I went ahead and cut out the hood! 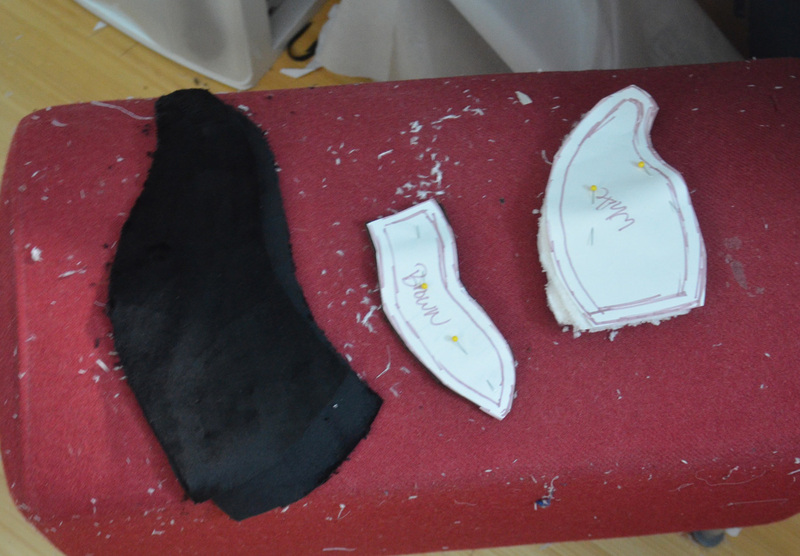 The hood ended up being 6 pieces (not including the ears/horns) the lining was made of two pieces, and the top was four. 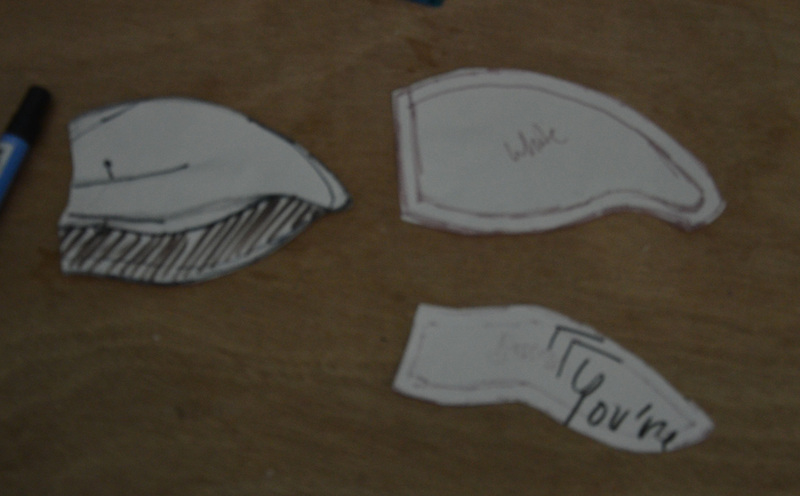 I borrowed my Merida hood pattern for reference since making these are really quite tricky. 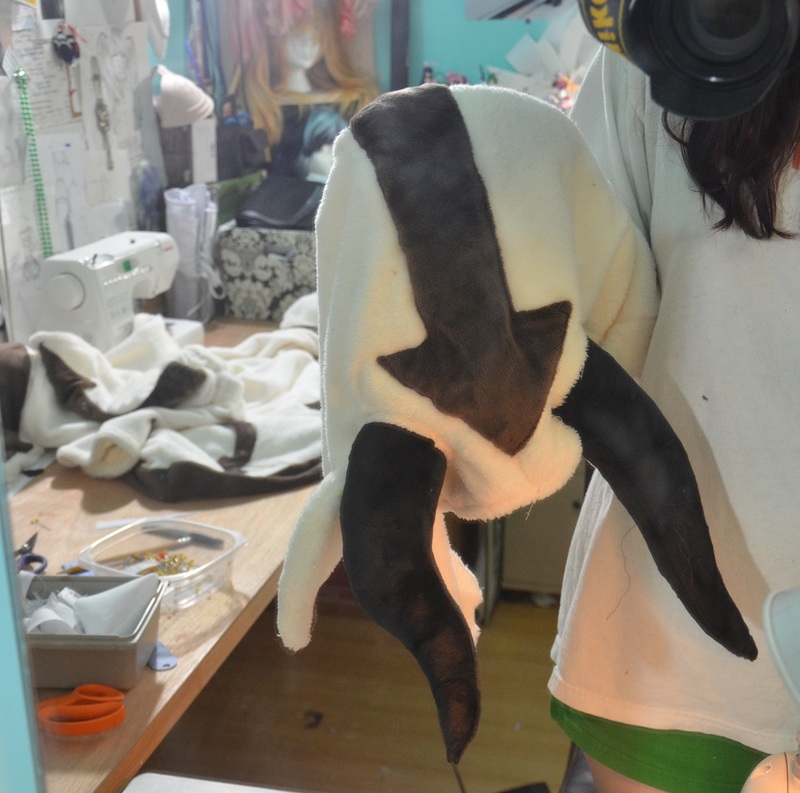 When it came to assembling the hood, I started by sewing the proper side of each horn on. 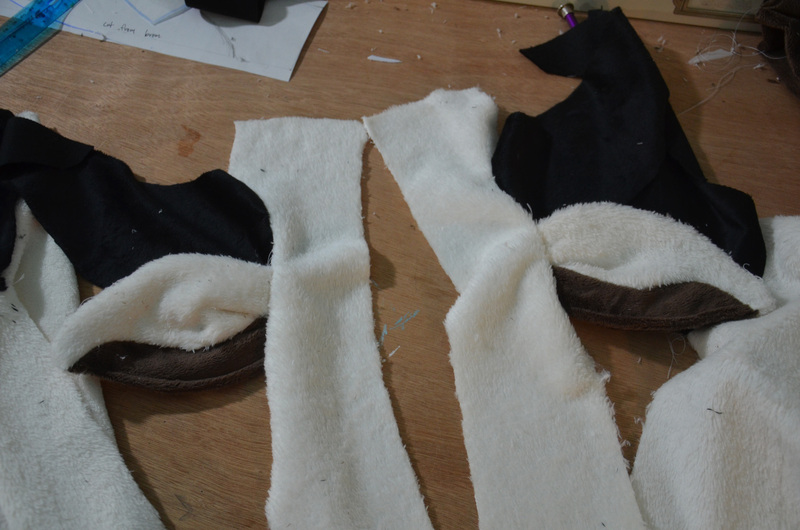 For lining these up I just set them out the way they should look, then sew it right sides together, as per usual! The ears were sewn on right beneath the horns. Then each horn was stuffed with a lot of batting! 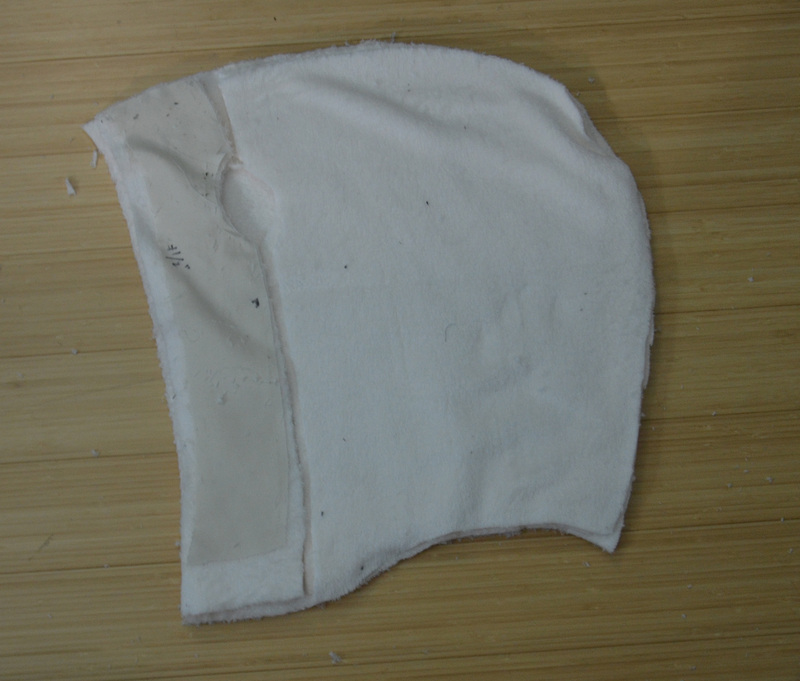 The lining was sewn to the front, top stitched down the back and around the neck. 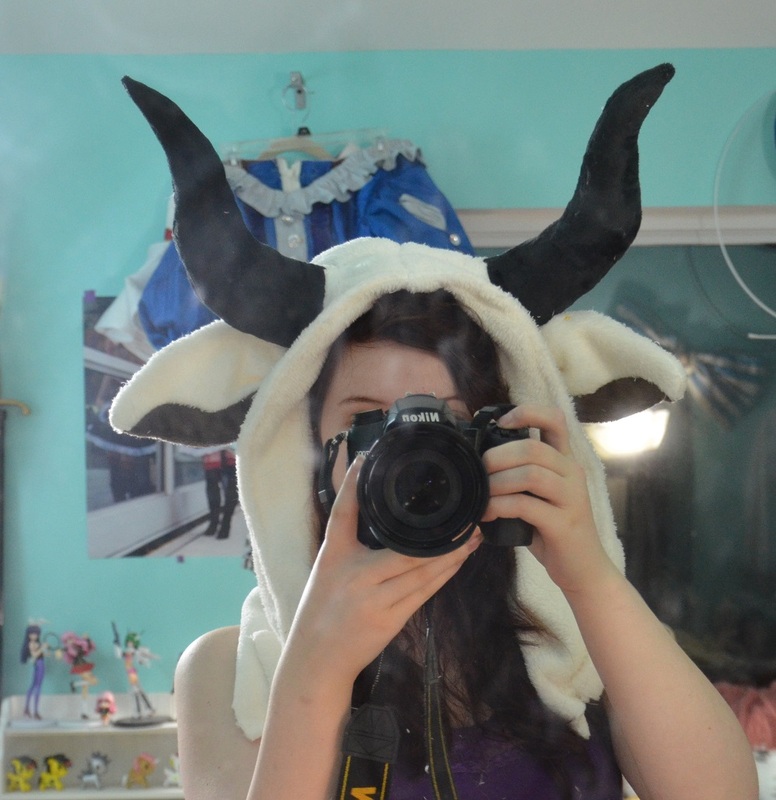 Then I stitched around the horns and across the front. And that was all, really. the horns and ears stuck up just the way I wanted. I made them the same way I made my arrows, lined with flannel and topstitched on. 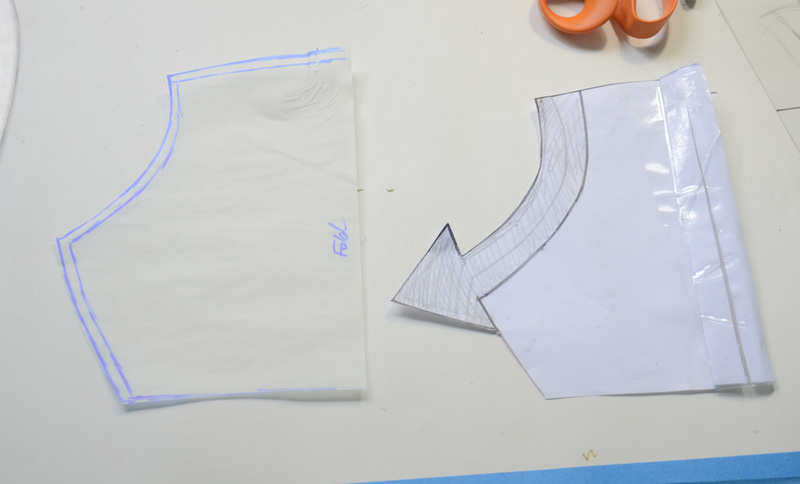 I also hemmed the sleeves and sewed on a 2″ band across the bottom. It looked pretty cute if I do say so myself! 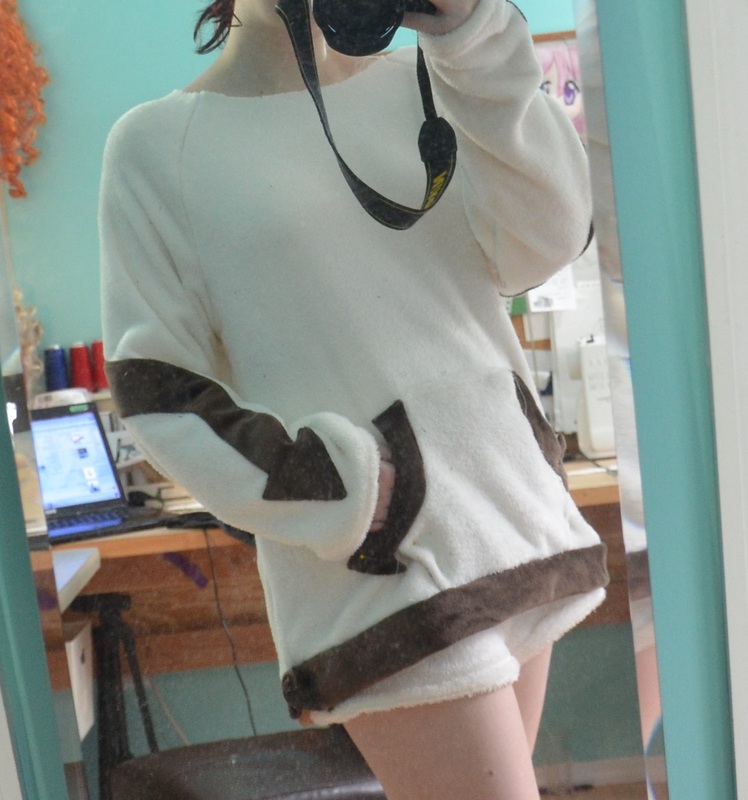 And lastly, I sewed on the hood, which looks like so! 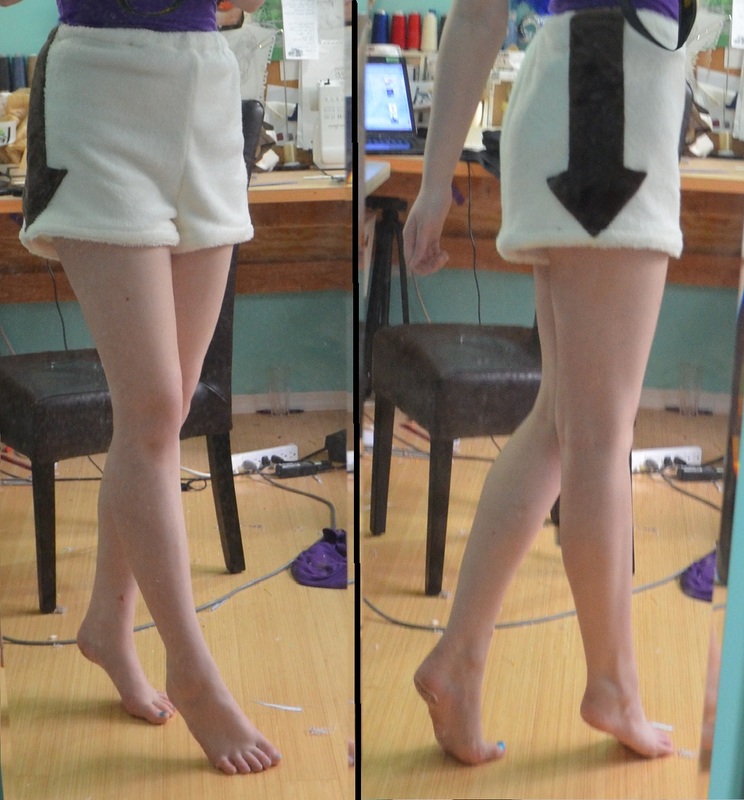 The shorts were completed as well, a bit higher waisted then I would have liked, but perfectly wearable!. So that finishes up that project! It took about a week and was quite fun. I have a few other projects that are nearing completion, and I can’t wait to share them! Thank you for reading, I hope to have fancier photos of this posted in the near future. I hope you could understand my bad english! Thank you for being a very good example for me and others cosplayer. Wish the best for you! Hello! That’s so wonderfully to hear, thank you for the kind words and I hope you enjoy your new machine! 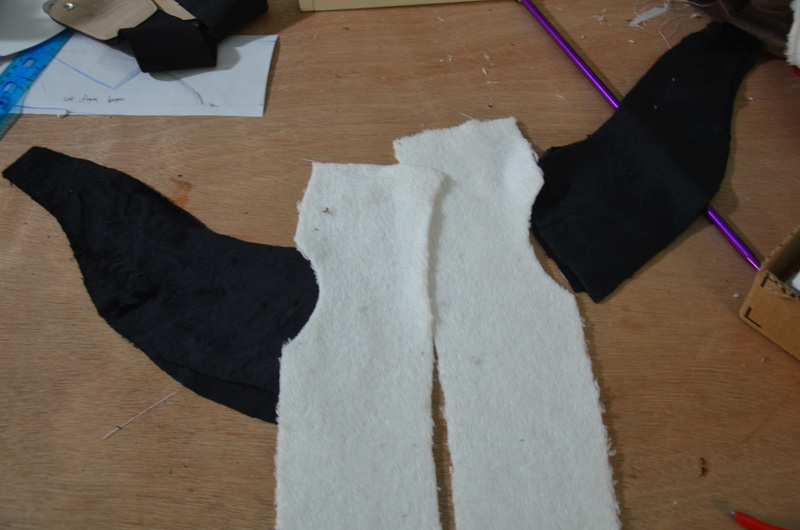 I use muslin for most of my mock ups, and it’s a loosley woven cotton, and usually the cheapest material in a store. I will sometimes use regular quilters cotton or broadcloth. I buy whatever is cheapest since it doesn’t matter too much! 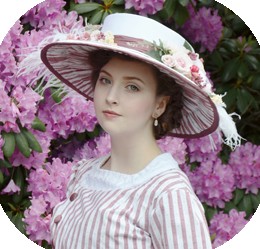 This is so cute and it is so interesting to read your process I kind of want to make one of my own but I don’t think If ever get a chance to wear it, it’s so hot here in florida! This is amazing! I do not own a sewing machine or any sewing skills, do you sell these?? I realize my comment is almost 3 years after you posted this, but I hope you’ll still respond. 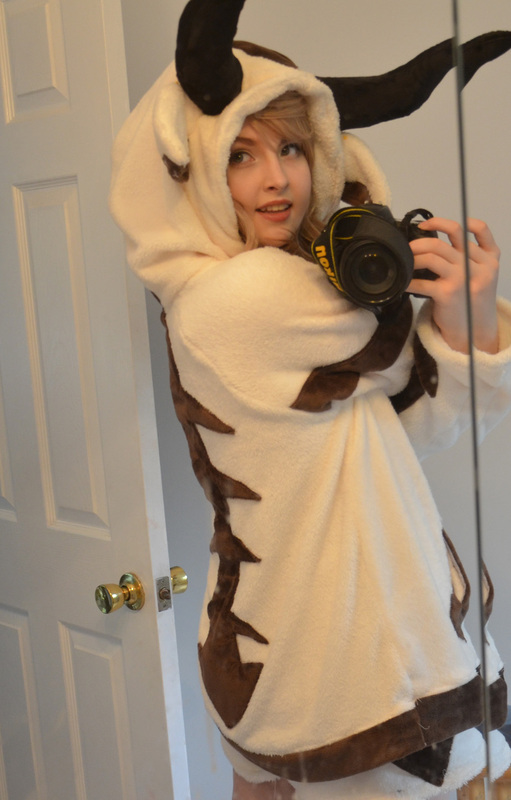 I was making something similar, but it’s just a hooded scarf that has an Appa theme to it. 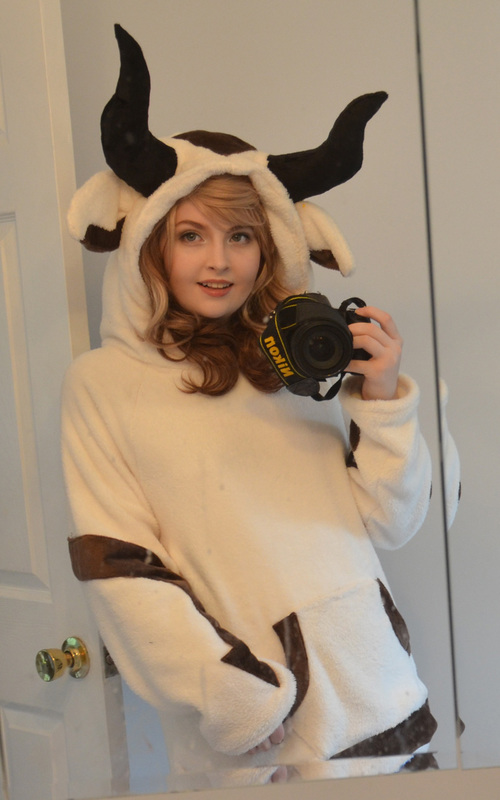 I didn’t have any luck with my horns and they just kind of flop around. So after doing some Googling, I stumbled across this page. Your horns are far larger than mine, how did you get them to stand up on their own like that?